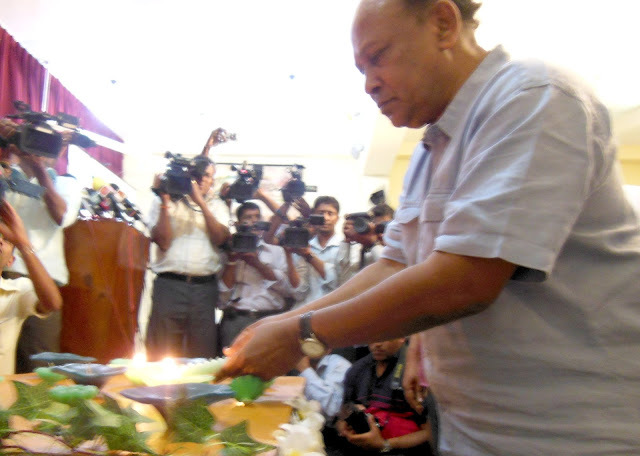 In January 8th 2009, Prominent journalist Lasantha Wicramathunge was killed on the road by unidentified two gunmen. 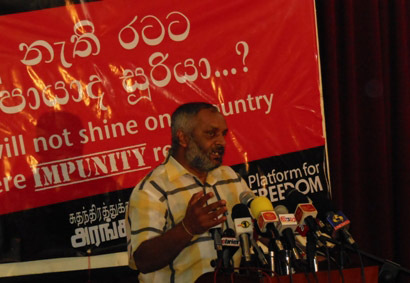 The program was organized by the platform for freedom and conducted in center for society and religion, Colombo. 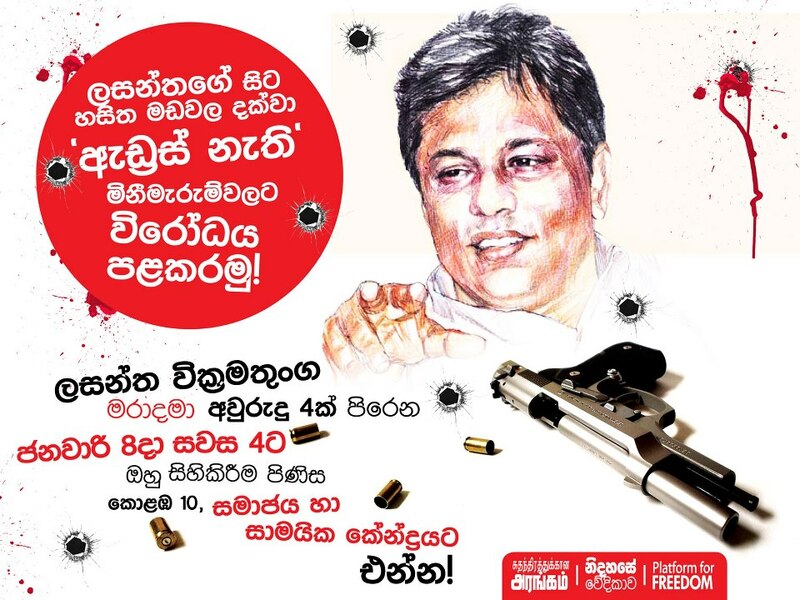 Even after four years, the mystery of lasantha's death not solved, He killed in broad day light, in a public road of highly secured Colombo city. 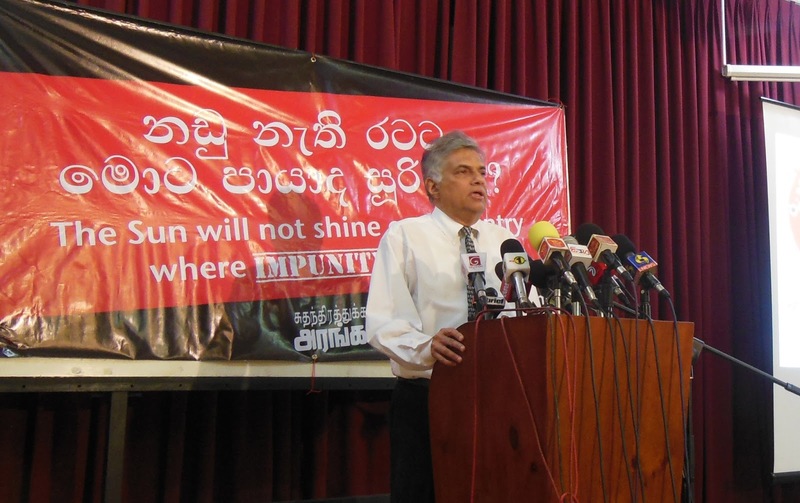 Failure of the government to catch the "UNKNOWN" gunmen have puzzled the civil society in the country on the relationships of the gunmen and the government. 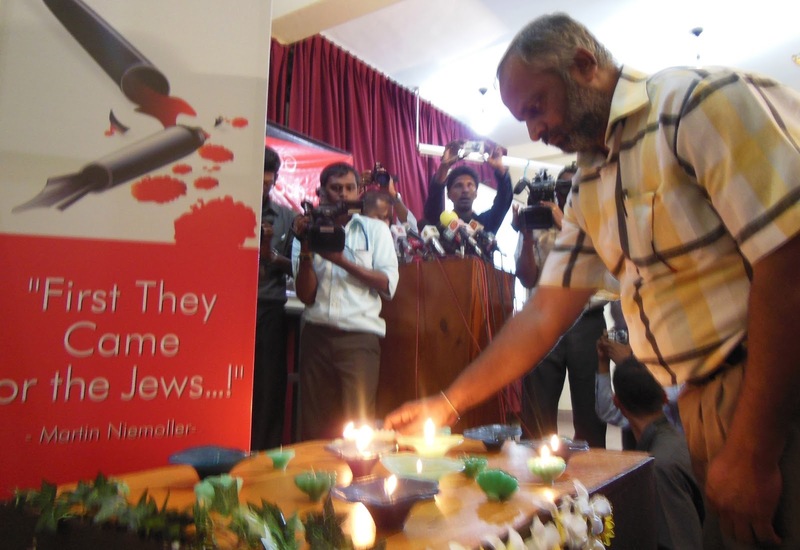 Several leaders of the political parties and civil organizations were among the speakers on the event. Government must be ashamed, when killing happened, president always order a special investigation on it but what are the results of those special investigations? still UNKNOWN gunmen are killing people. still they have not produce a responsible person to this murder even after four years. Its true, People must come out, but they can only see things that government television channels shows, they do not know what is the ground reality, so leaders must go to them, to the villages, explain them the reality. only then they comes out. if not this will happen always as usual. if they come with real understanding struggle can be win. Today will be a special day on the fight against this government. the parliamentary debate on impeachment against chief justice will take conduct today, people will not tolerate this any more. 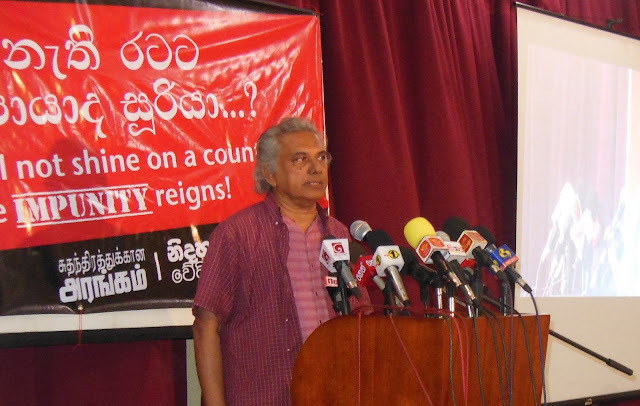 We must line up the people against this government and must chase away this Rajapaksha regime who are trying to destroy the country's constitution. 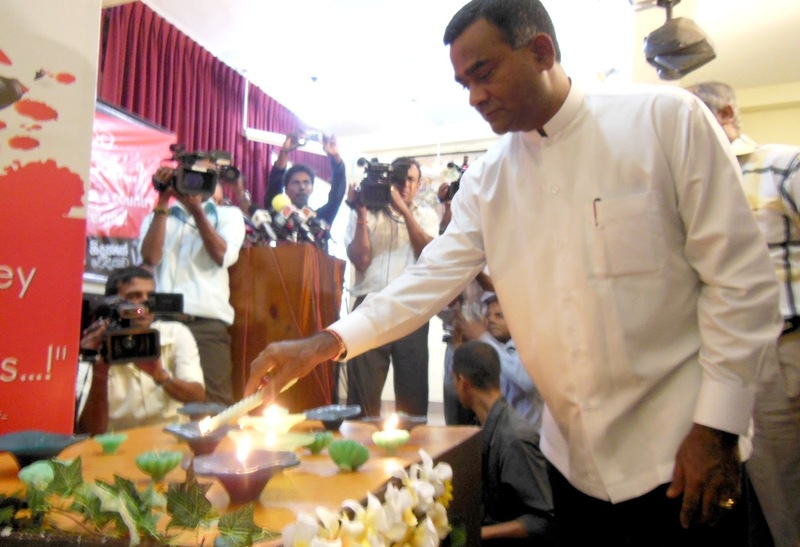 Thissa Aththanayake: Secretary - United National Party. We always commemorate killings and abductions in this country, government mislead the singhala people in south and taking the country towards a military government. killers of Lasantha and abductors of Pradeep Eknaligoda are still live in free. we must end the era of distributing leaflets and must put a foot forward, I am requesting from all the people, come to the roads against this government.